See reviews on Amazon, Amazon UK, Amazon Canada, & Goodreads, and a blurb in the Brigada resource newsletter. Featured by MissioNexus in their ‘Book Look’ (Oct 20, 2016). Embracing Followership was listed by blogger Joe Valenti as a recommended title for 2016. See his post: “Planning Your Reading for 2016 (part 2)” (Jan 4, 2016). You can also read his review (Feb 17, 2016). Check out the behind-the-scenes interview with the senior editor on the project, Rebecca Brant (Mar 2, 2016). 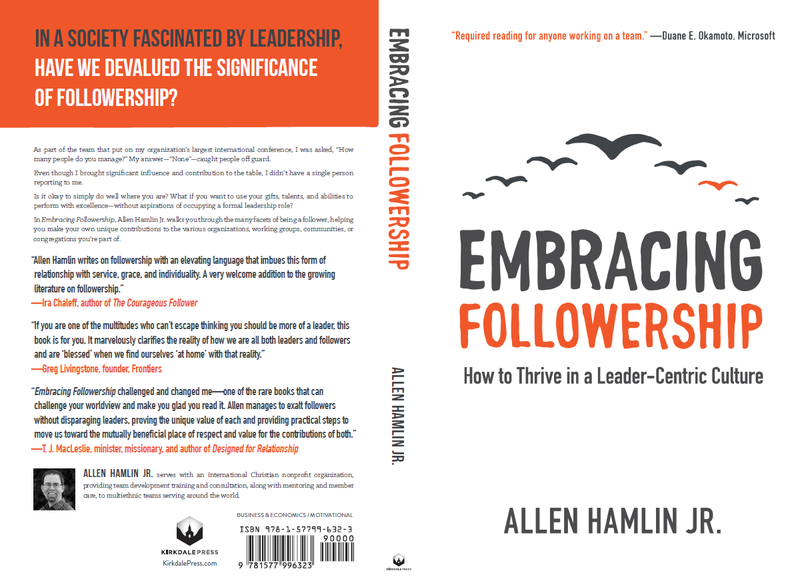 “Embracing Followership is a compelling read. It is compelling because it exposes our preconceptions and assumptions on leadership and followership. It does not devalue leadership but seeks to elevate followership in a healthy way. It establishes followership as a ministry call in itself, rather necessarily being a stepping stone to ‘greater things’. The book also questions how we assign value to the 90% of the people in our organisations who may not fit the mould we define as ‘leader’. Some of the most influential people are not those who have the title of leader, but who have a healthy notion of stewarding what God has made them. The book challenges us to ‘change the price tags’ in what we value in our selection, prioritisation and equipping processes, and I think this is good for the Body of Christ. “Embracing Followership is an excellent book to start with. The author reminds us that regardless of what title we hold in our organization, all of us are followers at some level. We often given little thought, however, to the quality of our followership or to our place in the bigger picture. Allen Hamlin Jr outlines the opportunities of excellent followership and uses biblical examples of follower-leader relationships. Hamlin encourages us to be thoughtful and intentional in our followership as a way of setting an example for others.